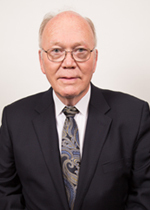 Nathaniel Haney is the Senior Pastor of Christian Life Center and the current Chairman of the Board for the College. He brings to the board over thirty years of ministry experience in various roles including church planter, international evangelist, author, college instructor, television host, publisher, and conference speaker. In addition to ministry duties, Rev. Haney is an entrepreneur and businessman who has started and managed several companies. This includes being the developer for the Black Oak Estates subdivision (Stockton, CA) and the proprietor of Silver Chase Self Storage (Lathrop, CA). This combination of ministry and business experience allows Rev. Haney to provide leadership in the areas of practical instruction for ministry training and sound business practices for the College’s operations. 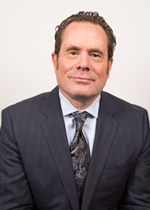 John Barron currently holds the position of Assistant Chief Counsel of the California Bureau of Real Estate. As a practicing attorney, his legal expertise provides the board critical guidance in the formation of policies and directives that align with federal, state, and other applicable statutes. In addition, Mr. Barron served as an instructor at UC Berkeley and as Assistant Dean of Student Affairs at Holy Names College (Oakland, CA). These credentials bring to the board a substantial level of policy forming experience as well as expertise in the areas of instruction and administrative practices for institutions of higher education. Jim Blackshear is the Senior Pastor of Life Church in Anchorage, Alaska. 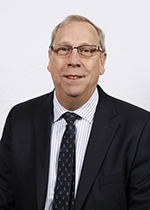 He currently holds the elected office of North American Missions Director for the Alaska-Yukon District of the United Pentecostal Church International. As a graduate of Jackson College of Ministry, Rev. Blackshear understands the key role of academics in religious service. He is a tireless promoter of the College throughout the UPCI and coordinates internship opportunities for former and current students in the Alaska-Yukon district. Mr. Albert Butler is a business owner who is heavily involved in civic engagement. As the owner of a thriving firm with state-wide operations, Mr. Butler brings to the board the financial acumen and entrepreneurial vision to provide oversight to ensure the college’s operations are in alignment with its mission and vision. Additionally, Mr. Butler owns and oversees a community progressive home, which provides short-term housing for men who are transition out of incarceration and/or chemical dependencies and are working towards finding meaningful employment within the community. This latter endeavor equips Mr. Butler to speak to the college’s ethos of training learners in their responsibility to serve the greater good of society in fulfillment of their Christian identity. 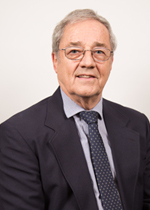 Rick Keyes has served for over forty years as a senior pastor and was a member of the Western District Board of Presbyters for twenty-four years. As a member of the board, he held the positions of Sectional Presbyter and District Secretary/Treasurer. Additionally, he has served the nationally as an Executive Presbyter of the UPCI. Due to his vast experience in organizational operations, Rev. Keyes is able to provide key leadership in areas of financial oversight and organizational productivity. He is also equipped to address matters pertaining to the College’s relationship to outside religious entities. 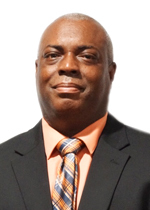 Ronnie Mullings has served as a senior pastor for twenty-eight years and has held the position of Superintendent of the Western District of the United Pentecostal Church International for fourteen years. 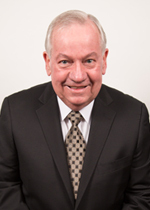 Additionally, he has served as an executive presbyter in the UPCI for fourteen years. With his many years of esteemed leadership within the Oneness Pentecostal movement, Rev. Mullings capably represents the College throughout North America. 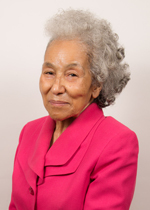 Janice Ivey Smith has over forty years of community involvement and ministerial service. Rev. Smith has won numerous awards for civic engagement, including receiving recognition from the California State Legislature and the United States Congress for her humanitarian work in the Stockton community (2010, 2007, 2006). Rev. Smith is an important voice in affirming the College’s responsibility to the greater good as she embodies the importance of education and training in the fulfillment of ministry service and civic engagement. 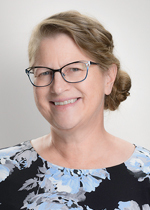 Dr. Smith (EdD in Education Leadership) brings to the board both the educational training and experience to speak to the college’s operations as it endeavors to fulfill its mission. Much of Dr. Smith’s higher education experience has centered on student affairs and student support services, with particular attention given to providing support for underserved student populations. Additionally, she has also served as a college instructor for eighteen years, providing her with critical insight into the innerworkings of the college’s academic units. Steve Widhalm is an entrepreneur and businessman. He is the founder and owner of Lodi Tax service, which provides financial services for individuals, corporations, and religious organizations. Mr. Widhalm’s understanding of financial compliance and auditing practices allow him to provide leadership in the areas of financial oversight, capital development, and regulatory compliance. 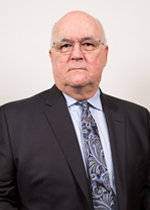 William Riddell serves as the CFO/COO of the College. Dr. Riddell possesses a BS in Accounting from CSU Stanislaus and an MBA from University of the Pacific (Stockton, California). 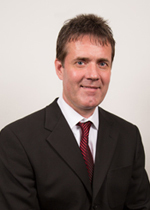 Combined with over thirty years of experience in financial services, Dr. Riddell is fully qualified to fulfill the duties of the CFO/COO. In addition to his financial training, he has also earned a PhD in Communications from Regent University (Virginia Beach, Virginia).